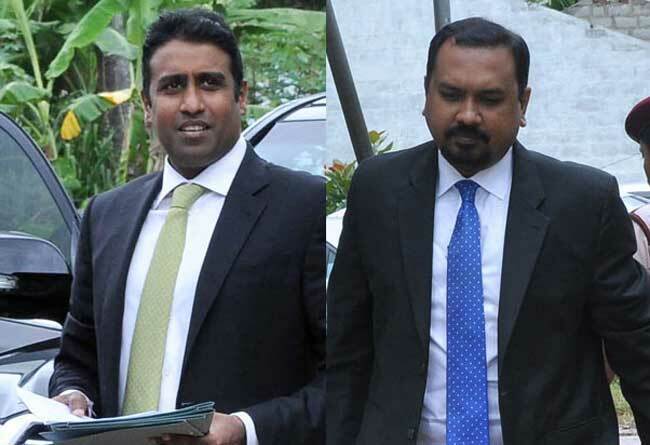 Perpetual Treasuries Limited owner Arjun Aloysius and CEO Kasun Palisena have been further remanded until 08 November by the Colombo Fort Magistrate. They were arrested by Criminal Investigations Department (CID) officers on February 04, who arrived at their respective residences in Colombo. On February 02, the Colombo Fort Magistrate’s Court named former Central Bank Governor Arjuna Mahendran, his son-in-law Arjun Aloysius and Perpetual Treasuries CEO Kasun Palisena as suspects in the CID’s investigation into the bond scam. The Criminal Investigations Department (CID) filed its first ‘B Report’ in court over the investigation into the controversial issuance of treasury bonds and cited the aforementioned names as suspects.